One year ago after 25 games the league table in Mr Wenger’s final season had Arsenal 6th on 42 points. We were eight points off fourth place and the much derided (at the time) challenge for a Champions League place. Today we see that Arsenal are still sixth but now on 47 points, but only three points off a Champions League place. One year ago the eventual champions were already looking home and dry on 68 points with the second club on 53. Second is an interesting position because in recent years Arsenal have reached second – although no higher. It was in the season that Leicester won the league, and was not considered by many fans – perhaps most fans, as something worth celebrating. Now the figures are quite different. This looks a little odd, I know, but it hides an interesting fact or two. If we look at the first two rows, which show the position of the 6th club at this moment in the season (Arsenal in both cases) we can see that this season we have scored five more goals and conceded two more than at this point last year. But we have five more points. So an improvement. Not an improvement in defence which many experts and fans were calling for – our defence this season is slightly worse, but an improvement in attack and an improvement in points. If we look at the club in fourth position – a position to which we might aspire if the “fourth is not a trophy” argument has now died a death – in each case this is Chelsea. Their goals scored this season and last season is identical and in both cases it is fewer than Arsenal in sixth place. Their goals against however is considerably lower than Arsenal each time, and of course their points are greater than Arsenal. In fact Chelsea have conceded 13 and 15 goals fewer than Arsenal in the two seasons by this moment in the campaign. So does this tell us much? Well, yes, if we consider that our current target is to rise from sixth to fourth in order to get into the Champions League, we still need a tighter defence. But basically this season not much has changed. We have scored five more goals (ie one goal more every five games) we have five more points and have conceded two more goals. It is much the same all round. True, we are 14 points behind the leaders instead of 26, but that is primarily because there is no run away leader this season, and several clubs are fighting for top spot. So the question is, is it too soon to expect change? Should people give Mr Emery more than one season to build a different club? Maybe so – although the question then is, will the owner give him any money or are all the new purchases going to be dependent on sales? If the latter, given the money that pours into Chelsea, Manchester United and Manchester City, that might make things difficult. As it is, for the moment we are pretty much where we were with Mr Wenger – the only difference is that there are no placards demanding the departure of the manager. The Gooners protesting placards against Emery could start going up in their numbers sooner than is thought they will if he Emery didn’t change from his lack of proper vision and understandings to envisage the most correct Arsenal starting XI best suited to start against the potentially difficult away matches in the PL to win the games such as the last one Arsenal played against Man $ity but were defeated. A defeat to Arsenal I believe that could have been avoided had Emery got his game tactics right to have the Gunners park the bus and counterattack occasionally knowing well in advance that the Gunners on offer in the match can’t match Man $ity quality of attacking football. But Emery tinkered with his team selection for the match and got his starts for the match wrong which ultimately led to defeat to Arsenal in the match. And defeats in their preceding away matches to Liverpool vs Arsenal 5-1, the defeat was too heavy, why not a draw? Southampton vs Arsenal 3-2, the defeat was an unacceptable lose, West Ham vs Arsenal 1-0 was an unacceptable lose too and now Man $ity vs Arsenal 3-1. Arsenal making the top four this season is still a possibility that can still be gotten but if Emery will change from his tactical inept in his Arsenal starting XI making and becomes astute at making them, more so against Tottenham Hotspur and Man Udt to get his team selections right to the letter when Arsenal engage these 2 teams. Does anybody read these things ? Arsenal have been shite and will continue to be shite without proper investment. 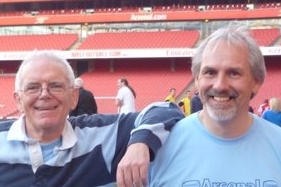 I know as fact many supporters are turning away from Arsenal, and before anyone says their not true supporters, one I know has been attending matches for over fifty years . The capitulation from the Arsenal team and management is disgusting. Think about it , some of the dearest tickets in the world , then you want to see a world class team . Not the rubbish that we ACCEPT every week . I for one refuse to pay any more . I work hard for my money , much harder than the team I USEDto pay to watch . Liverpool! scored from an offside position and almost won it at the death…again from an unflagged offside position. take it easy. have a lie down. wenger didn’t tinker and he got lambasted for it. emery tinkers and he gets the same. I think it was so unfortunate that we had an ”actor” CEO who was messing up things without everybody guessing what was going on. ”Stealing” fame from le Prof and priding self as some brand builder. On things such as motivating players, charisma, transforming players, the current manager is average in all, except for tactics some loud fans say he has. And my view still remains that if Arsenal get top 4, europa cup or FA Cup under Unai time, it is going to be all he will achieve. Respect to him for winning all those europa cups, but nobody noticed his contribution to football. Before he got to Valencia, the team is a traditional team in Spain, and all he needed was focused on Europa and qualifying for every europa league in Spain because three teams and three managers are ahead of him in Spain, he could not compete with them. Same thing in PSG focused only on the league with all resources of PSG and their tradition. This is just how I have valued my perception of his Coaching so far, and would be glad to be proved wrong. Difficult to tell. Immense frustration at defending, dropping postings against lesser lights, letting that force of nature that is Charlie Austin score his only goals, and often not seeing our two most talented players on the pitch, not to mention a concern the club might do something silly with someone like Lacca, in my eyes at least. Mitigation comes in the fact that things like poor defending, bad losses away, sometimes lack of concentration and belief predate Emery , these won’t be fixed over night, especially on Emerys budget. Injuries have been a real problem as well. The worst I can remember at the back , and that is saying something for this club, he has no stability at the back at all in recent weeks, who knows the true cost of losing Kos, Bellerin, Holding to such injuries. Is there another club with so many serious injuries to important players? Emery is often now playing third choice , rusty players, in the last game, against a team who have had 1.3 billion pumped in over the years. Also, Emery is learning this league, he has shown a little naivity at times, but perhaps to be expected I also think some players don’t yet fully get his tactics, perhaps some never will and could be gone this summer. Ramsey, baffling, put that down to either the money men, or perhaps an agent, but who knows. Özil, really baffling, unless there are things we don’t know about, I cannot believe this is about some power struggle, emery needs a fit and firing Özil. So we are out of the top4 and I am sure Wobs will be blaming Wenger to have left us with such a big mess. Now with a easy run in as compared to Chelsea and United we may finish above them and suddenly UE will be the saviuor and it will be UE team. As George tweeted a few days ago that Wenger would have given better results with these Players in comparison to Emery and I cannot find anything contradictory to his tweet. Nevertheless we finish In top4 or not I will not support UE for the kind of game he has offered us to watch and turning an attacking outfit to a primarily defencive team in addition to losing your club identity of attack minded team. Benching your best players is mind boggling and unexplainable. The 22 match unbeaten run was never glorious in my eyes as it lacked the eye catching stuff we were used to watch during Wenger days. To be honest Arsenal are in an identity crisis. Changing manager when already close to the top is almost as great a risk as moving stadium. The downside risk is far greater than the potential upside benefit. Arsenal have made both of the biggest ‘gambles’ in the business and seem (at this early stage of manager change at least) to have ridden the storm very well. The long term drain of stadium related debt has been insured against by banking CL revenues rather than risking them in the transfer market and on the pitch, despite only have a short term to remould the team (against the background of significant injuries) the manager has garnered five additional points. It’s points than win prizes in the league and a 12% increase in them year over year is very positive. Even one fewer long term injury, say to Holding could well have meant an even bigger improvement. Come the summer when Emery can really get to grips with building his own squad with a number of young players hopefully ready to come through without cost to the transfer budget makes me feel optimistic. If that 12% rise in points won can be maintained until the end of the season and then built on by a manager who has achieved it so quickly next season I’m thinking we’re on to a winner. Of course success is relative to others and potential transfer bans and stadium changes could well hamper some of those others – to our advantage. The banner at the top of the page should say “Supporting the club as long as the manager is Wenger,Supporting the manager as long as its Wenger and support the team as long as the manager is Wenger”.And one for that dimwit Menace is slag the referees off even though you dont know anything about the game of football. Rosicky, Wenger didnt leave us in a mess, but such a transition from a legacy manager is very difficult for any new manager, as other teams with more resources than us have proven lately, one of the reasons why I think Emery deserves some slack. “As George tweeted a few days ago that Wenger would have given better results with these Players in comparison to Emery and I cannot find anything contradictory to his tweet” that is an opinion, but if used as a stick to beat Emery with, I would suggest recent results at Liverpool, at home to Utd, away to City, and poor results and performances away at Brighton, Palace, West Ham, Southampton closely mirror Wengers final couple of years (post Cazorla). That is the last time I will intentionally compare the two managers, as ultimately think it is unfair on both to do so, except that both face similar issues with relative funding, bad media and other issues, but making this point as another indication as to why Emery should be given at least some benefit of the doubt, cannot see he has made things a lot better, but neither has he made things substantially worse, perhaps the club face issues that neither man can easily deal with, and on top of that, not sure Emery has really got started. Data available from a number of independent internet sites, including UA, suggests that Arsenal is in a similar numerical position within the Premier League to that of the previous season. An interesting piece of data suggests that the average number of shots per game is down compared to those of previous seasons, despite now having two of the best attacking players in the Premier League. Causes?? hmm!!!! A number of Arsenal observers are calling for Kroenke to go! However, it would appear that that this viewpoint is based on the apparent inability of KSE to invest sufficient funds into the club in order to enable it to compete fairly with other so-called big six clubs. It does not appear to be based upon the moral and ethical values underpinning the KSE organisation (St Louis Rams fans and associated corresponding Missouri environment! )But then again, for many football fans throughout the world, money speaks volumes but moral and ethical values can be pissed upon! Observations suggest that many so-called football commentators and pundits, even Arsenal followers, are calling for Mr Emery to be given sufficient time to overturn the horrendous state of the Arsenal first team squad, left over from those awful days of Mr Gazidis and Mr Wenger. I am not privy to the internal politics of the Arsenal Board nor to those of Mr Emery and his coaching team. However, current data and information suggests that not all is smooth running within the Arsenal organisation. If media reports are to be believed, Josh Kroenke has indicated that Mr Emery will be given the time to implement the new grandiose team plan to win the Champions League. Presumably in a similar way to when His father explained to the St Louis Rams supporters that he would invest in St Louis since he was a Missouri man through and through himself! Data indicates that Mr Emery has only coached at one club for longer than three years, that being Valencia (4 years). Will this be enough time to completely change the apparent awful philosophy that was emanating from Arsenal until he became its coach? Presumably time will tell. So, 20 years in the Champions League but not in the last two years. 3 FA Cups in the last 6 years. Continuous Premier League top 4 placement except for the last two seasons. League titles/doubles in the past. But now……..14 other Premier League clubs below us instead of 19. No Champions League, only an awful Europa League. Crises, crises, crises. Perhaps now could be the beginnings of moving the Arsenal organisation to Cornwall or Devon. At least then football commentators and pundits and the occasional Arsenal fan, will only need to visit once a year, when on holiday! Further ignoring any data and evidence to suggest anything of importance. It’s just over half way in UE first season in charge so let all give him the time and backing. Remember he didn’t have a proper transfer opportunity to get the players he wanted. I am hoping the club back him in the next transfer window. Did I want AW to go? No. But he’s gone now and UE is in charge so I’m backing UE until he leaves. I hope he play Ozil and Ramsay along side Auba and Laca from this point on. The team still lose playing conservatively so might as go full throttle in attack. I agree with you, Mandy Dodd. I find it difficult to compare UE and AW given the small sample of results. Statistically, they are about even. I think we have to give UE time to reshape the team AND at the same time not blame AW for things that are happening now. And there is no need to carry on with playground squabbles on this site. You may downgrade Wenger’s teams post Cazorla but mind you Wenger won the FA cup without Cazorla beating Peps city and Chelsea with an aeging Per in the squad. What’s happened to the Untold Wenger banner. Seems to have disappeared from the Stadium? Is it in your front room Tony? Personally I think it’s far too early to make any realistic evaluations of Emery. This is not ‘his team’ and he must be given time to stamp his identity on the team, either by getting the current players to play in a manner he wants, or bt getting players that will. As for how he’s doing so far with the management of the players at his disposal is a matter of opinion, and will differ from person to person, but personally I think he’s doing ok, no more no less, just okay. I don’t agree with every team he’s selected, every tactic he’s employed and every susbstitution he’s made, but niether did I with Wenger, but like Wenger he is the manager, he is payed to make those decisions and who am I to argue? As with Wenger the proof of the pudding will be in the eating. He will, like Wenger live or die by his decisions. As anyone who reads my ramblings will know I believe, given the financial restraints under which he operated, Wenger did a magnificent job and apart from his final season in which our away form, for whatever reason imploded, I think his preceding 4 years of 3 Fa Cup victories as well as a 2nd 3rd 4th and 5th placed finish was fantastic and as such, in my opinion, he did not deserve the critisism he recieved, and I believe could, or even should still be our manager, but he’s not and that’s that. For all what people might think of me, it’s Arsenal I support, and have done so through thick and thin for over 50 years, and not Wenger. If the club maintains it’s current business model, which I fully expect it to, and Emery matches those 4 years then I will consider Emery to of also done a fantastic job. But if we as a club maintain this business model, and Man City, Man Utd, Chelsea and Liverpool maintain their current business models, I do not think we will, and indeed I dont think we should even ‘expect’ us to seriously challange for either the title or the CL. That is the reality, rightly or wrongly, of the situation our Club is currently in under our current owner, and under our current business model. Whether you agree with it or not is again a matter of your own opinion. Personally I’m happy with the self sustaining model despite the obvious drawbacks, and wouldn’t want to win a thing in the manner in which either Chelsea or Man city have as I see it as utterly worthless. Sorry but that’s how I see it. But Maybe Emery will have us challenging for the title again despite the Owner. Who knows ? Only time will tell, and if he does then he will lay claim to being the greatest manager we have ever had. Wenger’s buy young and sell on later had worked wonders for the club. The last few years we stopped that due to clubs improved financials. All those years felt very bad whenever we use to sell players, turns out it was not that bad in the end.This new found financial strength was not that great as we were expecting. Sometimes what we think as blessings turns out to be curse. When I look at the wengerball replicated by Dortmund,Leipzig, Napoli, Monaco felt that we should have continued with it. Wenger’s English Core-2 (Ramsey, Walcott, Wilshire,Chambo,Welback, Chambers)experiment suffered too many injuries.Such shame that league allowed such talented English to hacked. They should have given more protection. We would seen another Wengerlona team. In later Wenger years.Other teams like Dortmund have copied his methods in recent times. Probably all those years French league did not money power. With PSG and Monoco emergence out eternal source of talent dried a bit. And others started copying his strategy. Later years buys With substantial investment like Mustafi, Welback, Chambers, Mikatariyan have not fared well. After seeing Guendounzi and Holding play thought we should never have abandoned buying young strategy. All these years UA has reader has taught me so much. One such observation was regarding sharing of scoring goals by 3 or more players. We use to have 3 or 4 players in double figures. Present team is over reliant on Auba and Laca. We don’t have midfielders scoring goals as we use to do before.Looks we have put all the eggs in 2 baskets.Appears like a bad strtagey since it increases risks. May be it is due to team pressing high and countering quickly. Definately miss those slow buildup and quick and slick passing in the box to score goals which enabled midfielders chance to score. Which was good defensively also as we were not exposed. Now we are all open to counter attacks. Auba is not suited for slick passing game as his Frist touch is not that great and gives opposition defence chance. Playing Giroud allowed us for quick passing in the box and allowed our midfield to score lot of goals. High press strategy comes to nothing when opposite teams park the bus and in turn rely on counter attacks.Know with our quick passing in the box blunted, we don’t seem to have answer for this. This high energy pressing comes with cost that requires lot of energy. Players may feel drained for the final run in. Already we are seeing this in some matches.We may not have energy in the tank for the final push as Wenger’s team use to do -finish strong except for the last season. One thing we can learn from history is that maintaing a consistent tempo over the whole season is the key. Looks like MCity are having problems this season.They may cope better because of the resources they have.For us it looks like bit streach, with the injuries we are getting. Players like ozil, miky are not suited for this system which relies too much on energy and less on guile (beautiful football for the audience). I don’t want to compare Emery with Wenger because the environments or conditions are not the same. Wenger had to play and fight against PGMO and even all the Premier League during his time in English football. The point here is Arsenal season have been damage by injuries this season, particularly in defence. AMN, Kos, Mustafi, Socratis, Holding, Mavropanos have all been hit with injuries. When you look at the other clubs, Chelsea, Man U, Man City or Liverpool, the case is not the same. In football you need a bit of luck to succeed. And a lot of money. Arsenal have missed these 2 so far this season. I think Emery is a good coach. What he must solve now is the mentality of his players. Arsenal players are not thinking like they are a great team. Arsenal is a GREAT TEAM. They need to integrate it in their mind so that when they play “small teams” they can dictate the game and play like favourites. If Arsenal are going to miss a top 4 place, it would be against the small teams not against the big. When you concede 3 goals against Saints, and draw against Brighton you have a problem. My hope this season for the players is to qualify for Champions League via the top 4 so that they realise they are a great team and act like a great team. Why do we compare Emery’s Arsenal with Arsene’s? Why don’t we compare first season of Emery with first season of Arsene? We didn’t win the league in either case. We didn’t win domestic cups in either case. Our European campaign ended at the first obstacle. Something that was a reccuring theme in the following years before we ditched the Wembley experiment and started playing at Highbury again. Arsene took over from Bruce Rioch who had finished fifth due to inferior goal-difference (fewer goals scored than Aston Villa) & added Vieira among others to the team. We finished third with a better goal-difference due to inferior goal-difference to Newcastle and superior goal-difference to Liverpool. We finished seven points behind Man United. There were no Man City of sheik and no Chelsea of Abramovich. We lost five out of six games v the rest of Top Four including all three at Highbury including the one to Newcastle on the penultimate match of the season that effectively kicked us out of Champions League. We collected 68 points and it’s hardly going to be enough for 6th place these days. Emery has taken the wheel in the era when the traffic is much busier than it was when Arsene took over. There is less space for a mistake and less time of patience. Things haven’t been perfect, it can and has to be done better but he is still very much in the race for Champions League place. We have only two big games left in the league while both our rivals have to play each other and three more big games. And even if we fail to reach CL through the league, we are still in the competition for which Unai Emery is what Arsene Wenger is for FA Cup. Sadly, some Arsenal fans have shown that their positivity during Arsene’s era was simply a double negative that looked like a positive for us. Once Arsene left the club, they have become what they had been bravely fighting against for years. That may well be true – indeed there have been such stories for many years – and not just now or in the Wenger era, but the press was alive with them in the Chapman era, the Allison era and the Whittaker era. But what does it mean? We were told during the Wenger years that people were giving up on Arsenal, and yet from the data available the waiting list for season tickets remained as long as ever. I guess the only way to analyse this would be the number of people on the season ticket waiting list each season. Do you have this, or indeed any other information from a source that can be validated? Have they? Compared to who? Arsenal have the second best average finish with exactly 4, but in addition to that we have won 3 FA CUPs, and if you want to count them (as Mourinho did), 3 Community shields. Man Utd have an average finish of 4.8 and they too have won 3 trophies in the shape of 1 EL, 1 FA Cup and 1 League Cup. Spurs have slightly the best average Premier league finish with 3.8, which given their modest spend is I think pretty good, but the fact is they have won NOTHING for over 10 years. NOTE: During Wengers trophyless austerity years his average finish was 3.5 on a ZERO net spend and yet he was continually ridiculed, where as we are currently supposed to be in awe of Spurs. I heard someone on the radio the other day say, and I quote “The problem for Spurs is they are a victim of their own success” I kid you not. Liverpool have an average finish of 4.8, equal worst with Man Utd and in addition to that have won nothing. So with an average finish of 4.0 and 3 FA Cups I would suggest out of those 4 clubs it is ARSENAL who have performed the best over the last for 5 years, but according to you Kieth we have been shite ! Well if we’ve been shite what of those 3 ? You and people like you are why my mates think Arsenal fans are the worst in the country. Every day Dolly went to the cemetery in her village to water the flowers on the grave of her deceased husband ,Gabru. When she was finished she always walked backwards when leaving the grave. I see you’ve still failed to respond, which is exactly what people like you do. without any attempt at providing any statistics or any context to support your assertion, then just dissapear. I provide statistics that at least attempts to put our “shite’ performance in some sort of perspective, with figures that show that at the very least, if we are indeed shite as you say we are, then so are Liverpool, Spurs and Man utd, none of which get anything like the media abuse we do, or indeed the abuse from their own fans that we do. To compare us to Man City, a team that has spent an average £100 Million net per season for the last 10 years on player transfers would be grossly unfair, so I don’t even consider them. The only other team that we can reasonably be compared with that have done better than us over the last 5 years is Chelsea, with 2 Titles, 1 FA Cup, and 1 League Cup. But even so, with their eratic league form their average finishing position is actually exactly the same as us with 4.0. But I believe that even with a net spend over the last 5 years of just under £300 Million net, which is still high but not in City or Utds league, I think on a Money to trophy level it is in fact Chelsea who have been the most succesful team over the last 5 years with 4 trophies and an average 4th place finish, if a somewhat eratic 5 years. But to be honest I don’t believe you and your ilk are in the least bit interested in such trivialities as statistics or perspective. You’ve made up your mind we’re ‘shite and will remain shite’ and thats that.